Please click link to view, constructive and critiques welcomed. 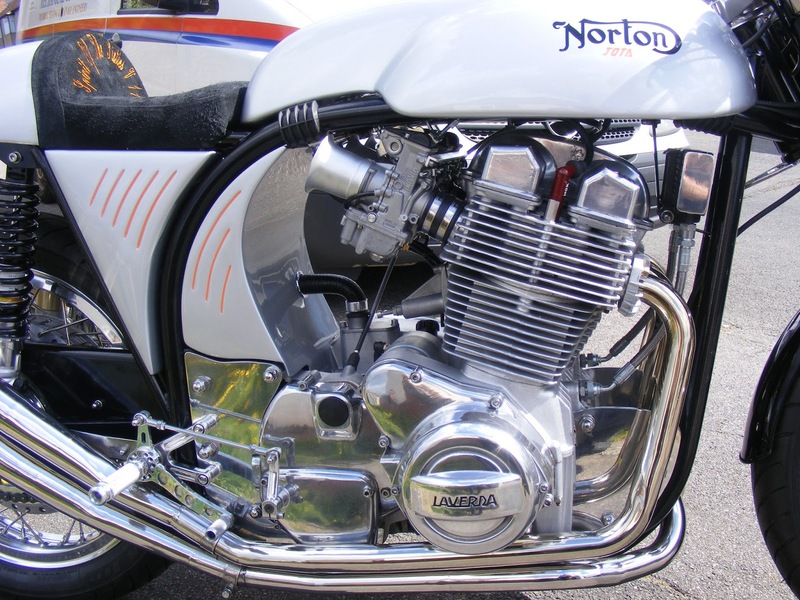 The bike specs are race tuned 850 Norton Commando engine inside modified Laverda 650 trellis frame, built by a French Violinist. No critique from me .. there3 are a coupla things I'd probably change but that's just personal taste. Now that's a bike I'd really like to have! .... uhh ... I mean Desktop!! The Duke Look now posted, hopefully my Peppermint doesn't get temperamental and throws a wobbler by suffering from orange peel paintwork and dodgy electrics. Myopia and tooling costs is why the Trident wasn't bought in quicker. When they did, it too little too late, Slippery Sam with its a peanut style petrol tank, err how far, maybe 45 to 50 miles, aimed purely at the American market, roughly the same time Honda bought out their Gold Wing, who were still enjoying several years of success with their CB750-4. Game over. I owned a Triumph Trident -- loved it! It had 'long legs' and preferred to run @ 100-130 MPH, but hated going from stoplight-to-stoplight in traffic. I was lucky to get 5,000 miles on a rear tire. It was a biach to tune, too -- 3 sets of everything to keep in sync. Actually, that's the reason I sold it -- even normal maintenance was a pain in the arse. The Trident was a good looking machine. I almost bought a BSA Rocket 3, but I couldn't stomach its styling (only BSA I owned, that I liked, was a B33). The Trident was right on IMO. I was doing a lot of desert racing, at the time, but also rode daily on the street. 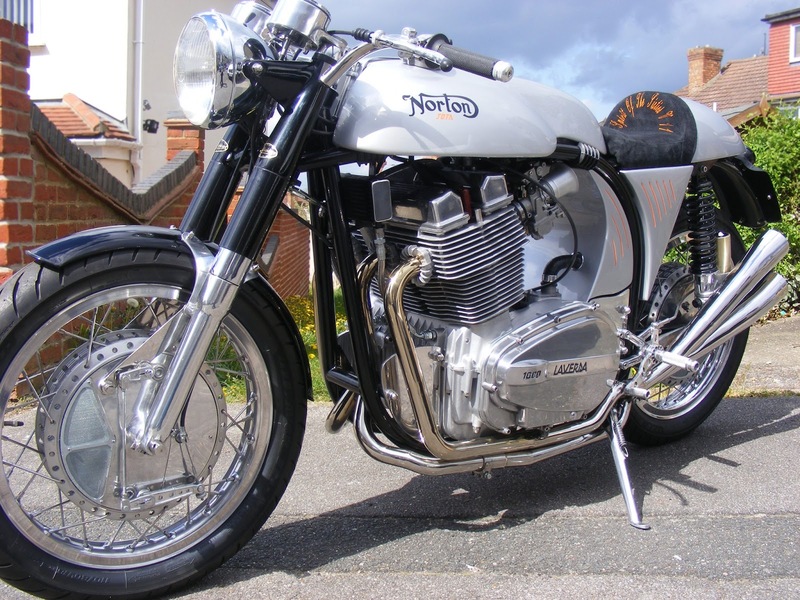 During this period of time, I was racing a Norton P11 scrambler, which had a Norton 750 engine shoehorned into a Matchless G85 frame. It was so ungodly fast in the dirt (and hard to slow down) the only place I could race it was in open desert races. For everything else I used a custom made Triumph 500 twin engine in a Triumph 250 scrambler frame. That bike wasn't nearly as fast, but was totally controllable in normal desert racing. The Trident was really made for balls-to-the-wall street racing. It was great for canyon racing, for instance, but rather ill-mannered for everyday commutes. You spent most of your time trying to hold it back -- it wanted to go-go-go, period. Exclamation point! It wasn't a smooth, enjoyable experience at all. Speaking of the Honda CB750... that's the other reason I sold the Trident. A friend of mine was a mechanic at a Kawasaki shop. His 'thing' was drag racing. Because of his job (and drag racing reputation) he got the first Kawasaki 900 Z1 in Arizona. He had less than a month to prep it for the NHRA Winternationals. And, I watched him eliminate every Honda 750, one-by-one, at the Winternationals (must have been 100 of them) over the weekend. First day, everyone sneered at him. By Sunday, he put had them all back on the trailer and won the Championship (Super Street Bike or whatevs -- can't remember the exact class). Anyway, that did it for me. I went home, took my Trident down to the frame, spit-shined everything, put it back together, started it up, rode it straight to the shop and traded it on a brand new Kawasaki Z1. I didn't need to spend a lot of out-of-pocket money -- $200-$300 bucks, maybe. They gave me a good deal. The Trident was an oddity in Arizona. You didn't see many. And, I *think* the salesman wanted it for himself. It WAS, after all, a very nice looking machine -- even exotic. WoW! Laverda. There's a flash from the past. '46 Indian Chief - Suzuki GS 1150 ESF - Honda XL 500, Honda ATC w/300 Mugen, Maico 450, SWM 320, et cetera. Or, we could just let it be. Ferrari sued Deadmau5 over this, BTW. You can't change the original paint job -- it's in the contract agreement.